May I use some of these in a story I'm writing? I'll credit you, of course. Hello, may I draw that Altaria design? ;3 I will be sure to credit you. Seriously, it looks better than the official mega. These are awesome! I especially love the Altaria and Primarina. Mega Butterfree and Primarina look absolutely fantastic! I especially love Butterfree's wings. All these are pretty awesome! My favourites are Nihinotic, the Mega Altaria R (so much rainbow~), Mawilteela and the Mega Primarina! By the way, I really like that you did the Mega Primarina's tail like an harp! 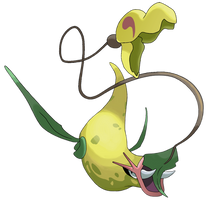 How are you not a designer for Game freak? These designs are godlike! those mega butterfree and wigglytuff are amazing!!!!!! BUTTERFREE AND PRIMARINA ARE SO GOOD. 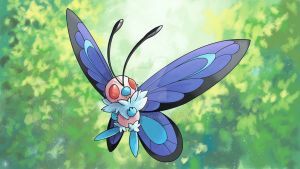 Mega Wigglytuff and Mega Butterfree look amazing!! !